Rome (AFP) – A bus in Rome erupted into flames Tuesday, the tenth incident of its kind this year in the city, casting a huge cloud of black smoke over the capital where public transport often faces heavy criticism. Officials from Rome’s transport company (Atac) were quick to confirm that no one had been injured during the incident saying the driver had evacuated all passengers before the bus became engulfed in thick yellow flames. The fire occurred in one of the city’s most touristy areas, just steps from the famed Trevi Fountain. 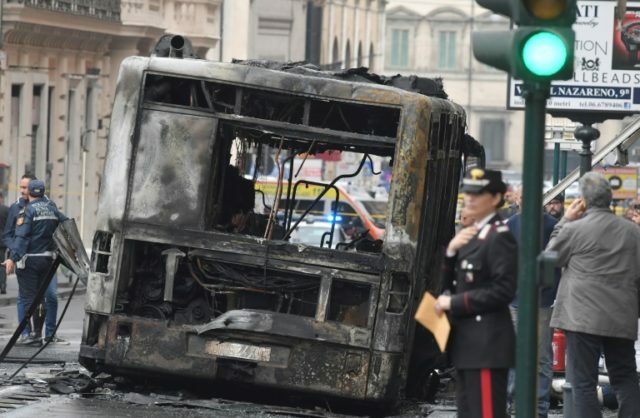 Atac and the city’s authorities announced they had opened an investigation into the cause of the blaze, which is just one in a long line of similar incidents: around thirty fires on Rome’s buses were recorded in 2017 and Tuesday’s blaze is already the tenth this year. Italian media often criticise the poor upkeep of Rome’s bus fleet, which is around 12 years old on average, and also that of the city’s trams which regularly break down. Romans were quick to respond to the incident on social media with cynicism as the hashtag #Atac trended on Twitter. “In Rome, I stopped being shocked by burning buses a long time ago, more than anything I’m amazed to discover that the 63 bus actually comes once in a while” wrote one Twitter user. As she visited the burnt-out wreckage, city official Linda Meleo assured that “200 new buses” had been put into circulation since Rome’s mayor Virginia Raggi, who hails from the anti-establishment Five Star Movement, was elected two years ago. 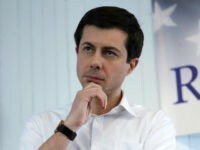 She added that 600 hundred new buses, costing 170 million euros, would come into service over the next three years. According to an Atac report, 36 percent of Rome’s buses are out of circulation due to breakdowns or maintenance repairs. Last year, former Atac chief Bruno Rota denounced the high rate of absentee drivers and the risk of bankruptcy for the municipal company which has racked up a debt of 1.3 billion euros ($1.54 billion).